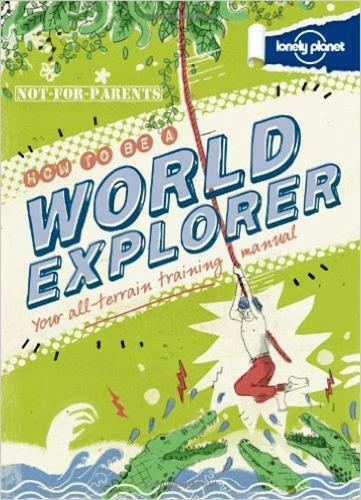 This book is an all-terrain training manual, if you want to be a world explorer this will help you. This book doesn't belong to me it's my brother's book. I'll give you an example, if you look under the heading Desert it will tell you about the dangers, where to find water, mirages, the driest desert (which isn't always dry eg: Antarctica is a desert). Humans can only survive for three days without water. It's really interesting and good for everyone. Rated: 11/10 - "It's better than you can imagine!" It's a book about a girl called Ruby Redfort who loves code-breaking and has a best friend called Clancy Crew. One day all her furniture in her house gets stolen except their phones. Along with the furniture their maid disappears, so they have to hire a strange butler named Hitch. Also a secret agency called Spectrum asks her to join them - and no matter what must not tell anyone. While cracking the code she thinks she has figured something out but she's not sure. 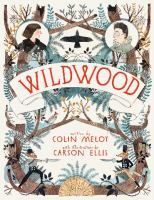 Prue and her baby brother get taken by crows to a forest which is a wilderness on the edge of the city of Portland, the area is called Wild Wood. Her friend Curtis goes to look for them. In the forest he meets bandits and a villain. In the end they are saved. Rated: 4/5 - "It was engaging but it was also a bit boring. I kept reading it thinking it would get better but it didn't." This is about a boy whose parents go to Europe and leave him with his aunt and uncle who own a farm. One day he is sitting on a rock when he sees a black fox. The next day he is sitting on another rock and sees the fox with a baby fox. It turns out that the foxes had been stealing chickens from a chicken farmer nearby so the farmer set a trap. It kills the father fox who gets it's leg stuck in the trap and then he kills most of the babies except for the mother and one little fox. The boy is in love with the foxes and wants to save them from the farmer. Rated: 3½/5 - "... because I'm only half way through the book." This is my favourite book of all time - it's definitely for 15 years and older. The story is about Lillian Linton who is a massive feminist and it's set early last century. Lillian happens to stumble past the richest man in England while dressed as a man. He hires her (not knowing she is a girl) as his personal secretary. There are lots of adventures and blackmail in the story. Also her aunt is trying to arrange a marriage for her but thinks Lillian is having an affair because she is away a lot working as a personal secretary. 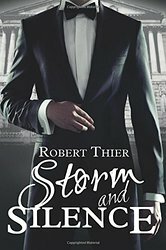 This story is engaging and funny and it's kind of a romance but not in an intense kind of way. I'm reading Wattpad uploads by the author and it's getting very frustrating because I want to read it all. It will be released as a book soon. Rated: 10/10 - "very, very good!" Anne Frank does a lot of complaining. She complains about how small the attic is and how she can't leave it or go to the toilet when she needs to. She can't leave because she is Jewish and she is hiding from the Nazis. If they are found they will be killed. She hides there for two years with her family. Jamal and Bibi are from Afghanistan. There are a lot of wars there. The government doesn't like them and tries to kill their family. They decide to leave and go to Australia. Jamal and Bibi love soccer but because Bibi is a girl she is not allowed to play. Girls are not allowed to leave the house at all. They escape to a refugee camp where bad things happen (like almost being killed). Their dad almost gets taken to jail but pays money so he doesn't go. On the way to Australia they meet Omar who also loves soccer. Jamal, Bibi and Omar fall into the water while on a very small boat. Jamal and Bibi survive and are saved by sailors but don't know what has happened to Omar. Rated: 5/5 - "it gives a lot of detail." It's set in the 1920's and it's about a girl named Stella who lives in a mansion with her parents but they are poor. The reason they are poor is because her dad gave his sister a lot of money and she gambled it away. Stella and her parents are driving when they have a car accident. When she wakes up she is all bandaged up and her auntie tells her that her parents have died. Stella tries to escape from her auntie because she is so mean. She tries to call the police but her auntie stops her. A ghost helps Stella escape. The ghost turns out to be her missing uncle who died a long time ago, and was killed by Stella's auntie. Rated: 4½/5 - "it's a bit gruesome - but a funny gruesome. Makes me think bad things about my auntie!!!"